They would like to see more robots in construction, manufacturing and education. Ukrainians are ready to trust robots or AI with organizing elections and vote count. This idea is popular with 45.5% of respondents who took part in a survey called "Artificial Intelligence: Ukrainian Dimension". Ukraine's first study of public attitude towards new technology was held on the initiative of Gorshenin Institute and Everest Group. "Ukrainians are ready to trust new technology not only with elections but with fight against corruption. 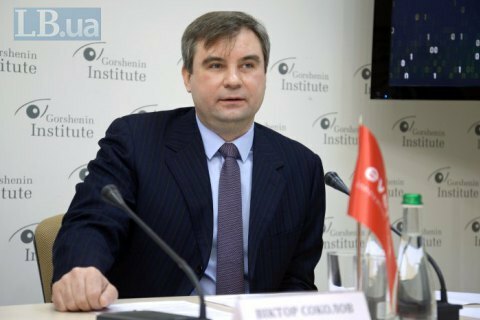 Some 42.3% of Ukrainians are ready to trust AI with control over public spending," Viktor Sokolov, first vice-president of Gorshenin Institute, said. "What is more respondents would not mind involving robots in construction (52%), industry (46%) and education (39.1%)." Despite this open-mindedness, the respondents said it would be inappropriate to use AI in politics and state governance (40.1%), art (37.1%), law (34.7%), sport (33.1%) and journalism (28.3%). "Healthcare is a sore point polarizing the society as it scores high both positively (51.4%) and negatively (28.3%) as far as the use of new technology is concerned," he said. Most of the respondents (61.7%) suggested Ukraine needs its own strategy similar to China's National Strategy for AI Development until 2030. The survey was based on face-to-face interviews in respondents' place of residence. A total of 1,000 respondents aged 16 to 65 were interviewed in all the regional centres of Ukraine (except for occupied Crimea, Sevastopol, Donetsk and Luhansk regions) in September 2018. The error of margin does not exceed 3.1%.